DISTEK COMPATIBLE CANNULA FILTERS Distek baths utilize a resident sampling probe that incorporates a small filter disc. 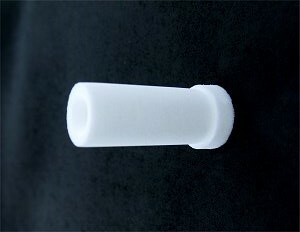 An external end tip filter may also be used instead of, or in addition to the filter disc. For DV Series Auto-Sampler Probe Filters. Distek baths utilize a resident sampling probe that incorporates a small filter disc. An external end tip filter may also be used instead of, or in addition to the filter disc. For DV Series Auto-Sampler Probe Filters.